Carapella's specialty is finding tribes' real names and locations and placing them on a map to show tribal history and to give a different view of who was really here and where the tribes were located pre-European contact. FLAGSTAFF, Ariz. - If there is one thing that Aaron Carapella has shown with his collection of maps of North America, it is that there were plenty of people already here in 1492. 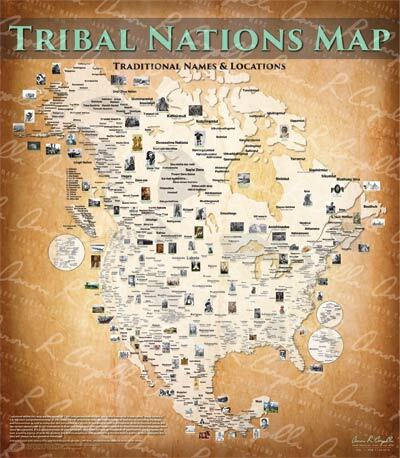 Carapella's specialty is finding tribes' real names and locations and placing them on the map to show tribal history and to give a different view of who was really here and where the tribes were located pre-European contact. With individual maps of the U.S., Canada, and Mexico, Carapella has now added a full size 55 inches x 49 inches map that includes all of those places, which he said was a challenge to make.